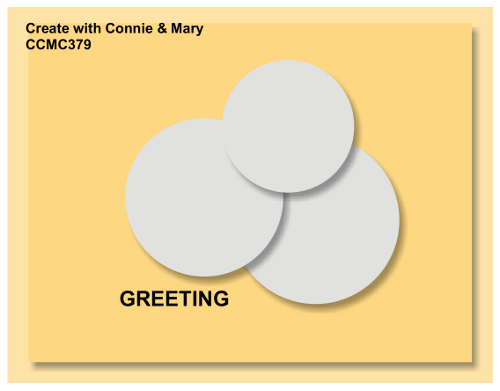 But alas, t’is not here yet and I have a new sketch challenge to share from Create with Connie and Mary! Looks easy right? Sure… I thought the same thing. Then I sat down (stood up and sat back down about 12 more times) before I came up with my card. My little ghosts look a bit ominous, don’t you think? That’s thanks to the Among the Branches set! I used simple oval punches to create the ghosts bodies. I played with the paper a bit on this one. This is some of my favorite Halloween DSP ever and I think I’m not the only one that feels this way. I went to order some more not too long ago and it was on back order. And that’s all folks! I hope you feel inspired to play along. Check out the other designer’s cards for some creative inspiration at Create with Connie and Mary! 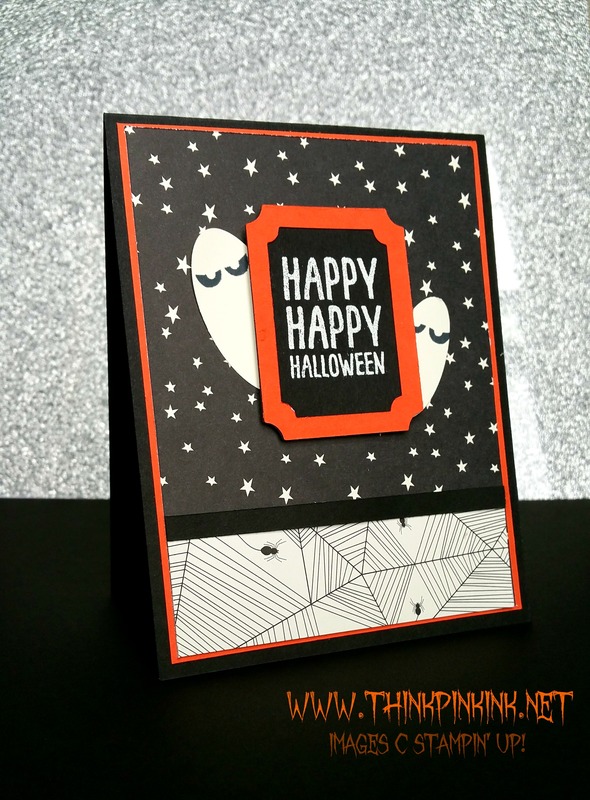 Love, love your use of the Halloween paper and I REALLY love that you made the ghosts out of oval punches….how smart and clever! The eyes from Among the Branches are so perfect for your ghosts! Your post made me laugh cause I do the same thing. Stand up, sit down – sometimes more than 12 times. Lol. But it all paid off for you because your card is so stinkin’ cute!! And clever! Love the ghosties peeking out. Cute! Love the little oval ghosts and the DSP’s you chose. Great card for halloween! Those are really fantastic ghosts! The combination of the oval shapes and those eyes is just perfect! This is SO cute! I love how you created those spooky little ghosts! Great use of the DSP also! Love those ghosts Bridgette – such a clever idea and a great way to use the sketch! Adore your paper choices too – the patterns in the pack are just awesome aren’t they!